Is a popular European city destination thanks to its beautiful architectural buildings, rich history, culture, and of course, the famous Belgian waffles. Belgium is located on the Western side of the European continent and enjoys the benefits of having : sunny summers, rainy falls, snowy winters and mild springs. 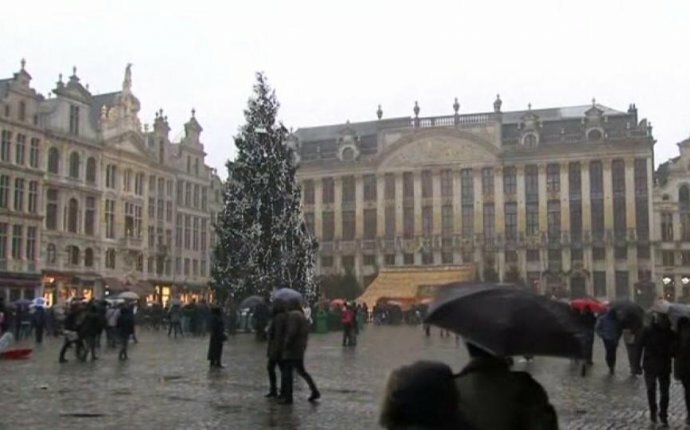 A visit to Brussels in January will bring a lot of snow, and cold of about 3C. Weather can be cloudy and foggy, but if you're lucky enough, you might have some sunny days as well. At night, the temperatures drop even more, averaging at 1C. The is one of Europe?s largest and most beautiful squares. It?s also the historic heart of Brussels and has cafes, a regular flower market and plays host to free concerts throughout the year. If you want to see some art, head over to the, which is located a bit out of the city centre. The museum is unusual and a very popular tourist attraction. Your kids will enjoy a trip to the, one of the best chocolate stores in town. Beer lovers will be pleased to know Brussels Beer Tours are organised by the locals. Another great place to add to your to do list is where you can taste the beer and listen to live performances. Even in winter you can take a stroll in the, located near the the Royal Palace.